8-92. How many different triangles do you think that you can make specifying only two measures to use for the triangle’s parts, such as one angle and one side, two angles, or two sides? Work with a partner to investigate this question. 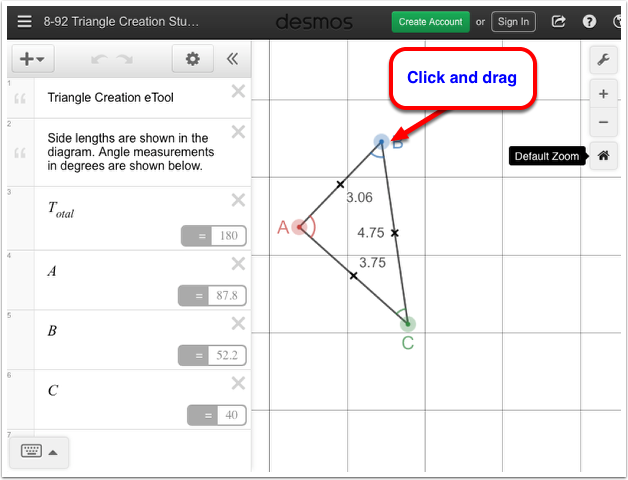 Drag the vertices of the triangle to change the lengths and angles.